From my home in Seattle it is a long days drive or a half day journey by air to the Grand Teton National Park. I’ve made sure I can be transported there instantly in my mind any time, day or night to be renewed and refreshed. 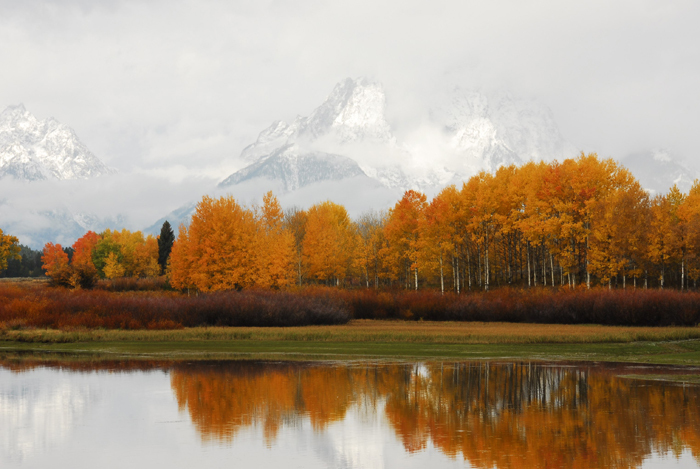 A picture of the early morning at Oxbow Bend hangs on the wall above the desk in my home office. Everyone needs something beautiful in their mind; if only out of the corner of their eye.